And more things on at the Willow….. 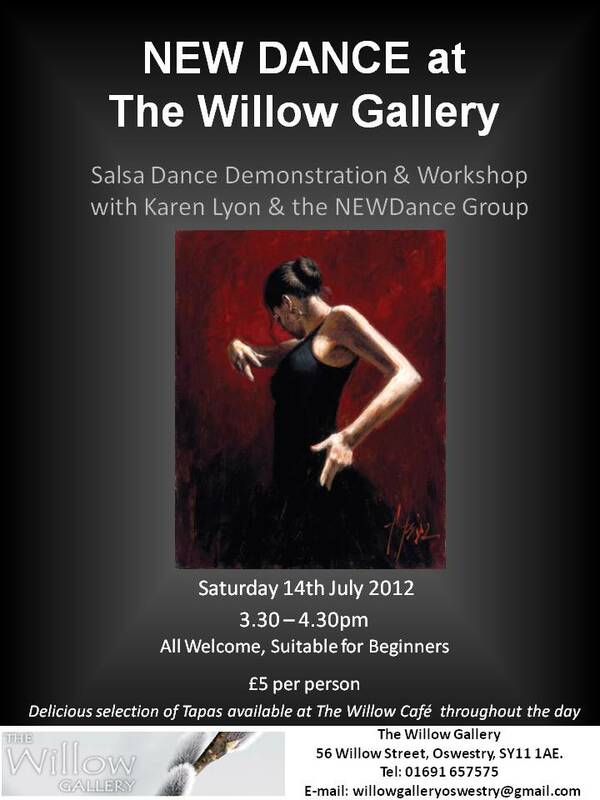 Exciting opportunity to have some fun learning salsa and developing your dance skills with this fantastic dance group. The Willow Gallery, 56 Willow Street, Oswestry, SY11 1AE. Tel: 01691 657575. « What’s on at The Willow? ?